Tondabayashi City is situated in the southeastern part of Osaka Prefecture, about 25 minutes by train from central Osaka. 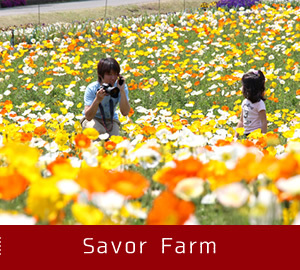 With a rich natural environment and various historic sites, Tondabayashi is proud to be an excellent place to raise children. 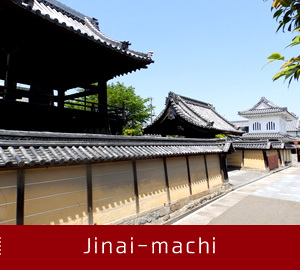 In the Jinai-machi area, the old townscape still remains. 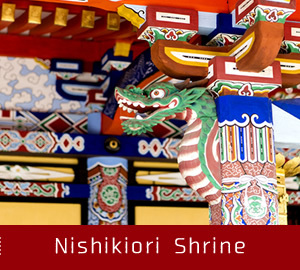 Strolling on streets lined with 450-year-old buildings, you will feel as if you have traveled back in time. Many tourists visit the area to learn about how people lived in the olden days. You can obtain “Eemon” (meaning “good products”) brand products in Tondabayashi City. These products are developed through trials by manufacturers in the city in the hope of rediscovering the charms of nature, culture, heritage, and traditional crafts in Tondabayashi. There are many attractive products, such as sweets and seasonings made with ingredients harvested in Tondabayashi, and elaborate crafts made by experienced craftspeople. 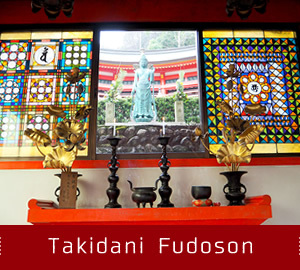 When you visit Tondabayashi, why not pick one up as a souvenir of your visit to the city? Ebiimo is a kind of taro. Ebiimo (meaning “shrimp potato”) was so named because its curved shape and surface stripes make it resemble a shrimp. Ebiimo, which is very starchy and does not easily lose its shape when heated, is used as a luxurious food at many Japanese restaurants in Kyoto. Tondabayashi is also known for the production of Osakanasu eggplants and strawberries. ©2016 Tondabayashi city All Rights Reserved.